Everyone wants to be seen as innovative, but very few leaders have been able to integrate innovation into the DNA of their organizations.When innovation does happen, it tends to be ad hoc, incremental and difficult to replicate. Within the public service, the perceived intolerance for mistakes and the potential for public backlash often means that truly innovative ideas are less likely to be presented or pursued. We work with senior leaders to build an innovation strategy that sets the framework within which innovation can thrive and outlines a blueprint for change. We bring a practical approach to innovation which explores the structures, processes, talent and behaviours that shape how an organization strategically identifies innovation opportunities, synthesizes ideas into tangible concepts, experiments, learns and scales up to maximize the innovation multiplier effect. 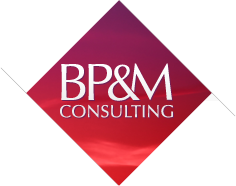 Welcome to the BP&M Innovation Lab. This is a collaborative space where we come together with clients to solve difficult problems. We leverage innovation and design thinking principles, methods and tools to transform the way you work, the services you offer and the products and policies you design. If you have a challenge that’s keeping you up at night, we can help you bring a new approach to solving problems that will result in innovative, tested and scalable solutions. Innovation systems, methods and tools are only as successful as the leaders who support them and the people who use them on a day-to-day basis. We work along side your team to ensure they have the knowledge, skills and abilities they need to lead, execute and measure innovation. Why? Because culture will trump strategy every day. To ensure your innovation strategy is sustainable, you need to set up your staff for success and foster an innovation culture that will drive innovation from the bottom up. We blend the art and science of learning to maximize your investment in people through customized, high impact learning experiences for leaders, mentors, coaches, facilitators and staff.